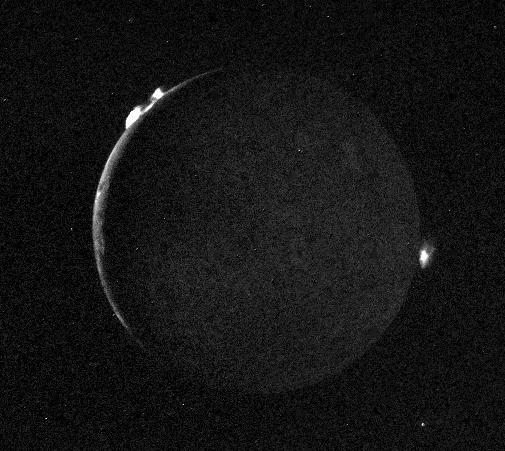 Voyager 2 took this picture of Io July 10, 1979, from a range of 1.2 million kilometers (750,000 miles). It was one of the last of an extensive sequence of "volcano watch" pictures planned as a time lapse study of the nearest of Jupiter's Galilean satellites. 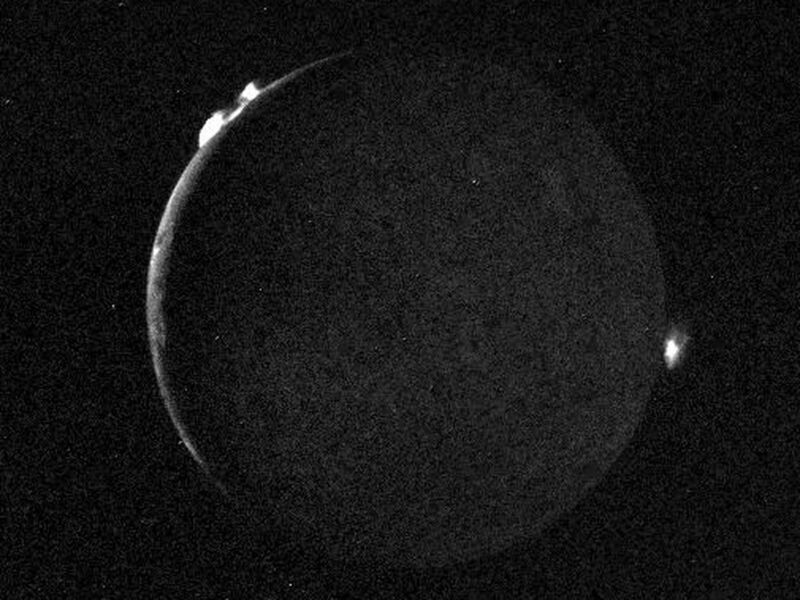 The sunlit crescent of Io is seen at the left, and the night side illuminated by light reflected from Jupiter can also be seen. Three volcanic eruption plumes are visible on the limb. 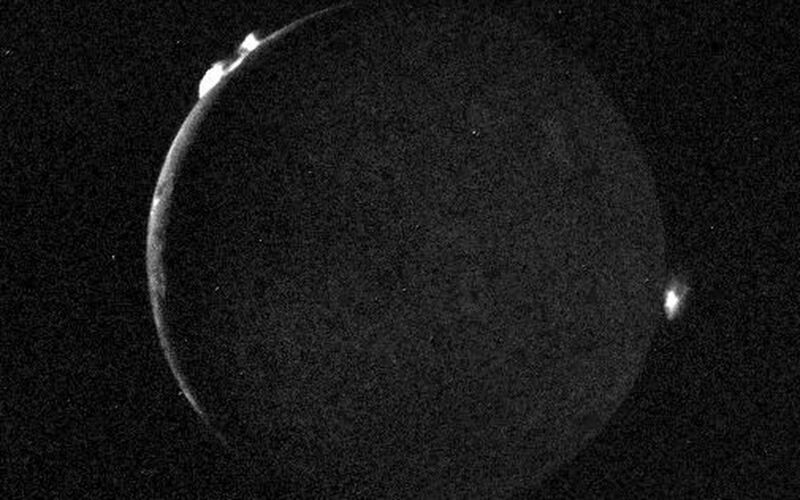 All three were previously seen by Voyager 1. On the bright limb Plume 5 (upper) and Plume 6 (lower) are about 100 kilometers high, while Plume 2 on the dark limb is about 185 kilometers high and 325 kilometers wide. The dimensions of Plume 2 are about 1 1/2 times greater than during the Voyager 1 encounter, indicating that the intensity of the eruptions has increased during the four-month time interval between the Voyager encounters. The three volcanic eruptions and at least three others have apparently been active at roughly the same intensity or greater for a period of at least four months.